Takeda fosters a collaborative and stimulating work environment filled with opportunity and the chance to make a difference in people's lives. It is a workplace driven by integrity, one of Takeda’s long-held values that extends to both the patients we serve and our employees who develop and deliver medicines. Across our company, Takeda employees bring together diverse strengths that together create a stronger whole. As one of the world’s leading biopharmaceutical companies, Takeda is committed to bringing Better Health and a Brighter future to people worldwide. We aspire to bring our leadership in translating science into life-changing medicines to the next level, in our core focus areas; oncology, gastroenterology, neuroscience, rare diseases, plasma-derived therapies, and vaccines. We are a passionate team doing important work that impacts patients’ lives. If you are driven to create better health and a brighter future, join us! What makes a successful member of our team? Check out the traits we’re looking for and see if you have the right mix. We put the patient at the center of everything we do as we strive towards better health for people worldwide, through leading innovation in medicine. 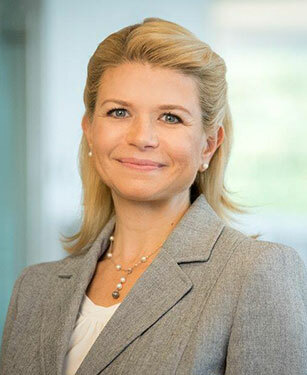 Meet Jen, the Chief of Staff and Head of Gastroenterology (GI) Therapeutic Area Unit General Operations in Boston, Massachusetts. 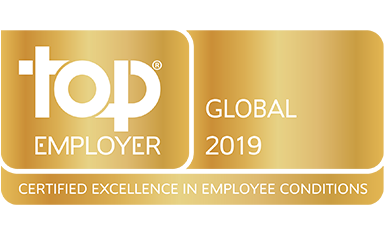 Recognized for our culture and way of working, we’re one of only select companies to receive Top Global Employer® status for 2019. Since 1781, the values of Takeda-ism (Integrity, Fairness, Honesty, and Perseverance) have guided everything we do—from decision-making to interacting with patients. Our people-first mission extends beyond patients to include their families, communities, and our own Takeda family. A strong, borderless team, we strive together towards our priorities and inspiring mission. Recognized for our culture and way of working, we’re one of only 13 companies to receive Top Global Employer® status for 2018. Our vision is of a world with accessible healthcare for all, where prevention measures are exponentially advanced and billions are freed of disease. Our approach is rooted in our patient-centricity and the creation of outstanding treatments that change people's lives. Building upon a foundation of sustainability, we are committed to contributing to the long-term health of people through disease prevention. Job Function and Description Responsible for executing strategic objectives that position Takeda as a key partner in the Ophthalmics Community with the purpose to enhance patient outcomes: Create key customer plans to achieve goals and objectives for continued value added partnerships. Maintain a superior level of product, market, reimbursement, formulary, managed care and customer knowledge to accomplish account objectives. Plan and implement effective professional education programs. Demonstrate strong critical analysis and planning skills in reviewing data, understanding trends, preparing and communicating applicable plans. Develop and maintain strong working relationships with identified customers as well as the Ophthalmics community, with a high science approach focused on identifying needs and providing solutions Plan, organize and deliver effective and approved presentations of Takeda’s offerings to increase understanding and acceptance Plan and execute strategic plans/programs consistently, utilizing approved tactics in advancing education, key company messages and sales Maintain an expert operating knowledge of all company policies and guidelines including but not limited to those addressing interactions with healthcare professionals, Compliance and Business Conduct Education and Experience Requirements Bachelor’s degree required, preferably in a scientific field. High clinical acumen in Eye Care required Requires experience either in the healthcare field or in strategic new business development; candidates with both experiences are preferred. Five or more years of specialty pharmaceutical experience in Eye Care preferred. Demonstrated knowledge and understanding of healthcare corporations and operations (e.g. individual delivery networks, integrated health systems, large provider groups) and commercial managed care; experience selling within high volume, complex large practices. 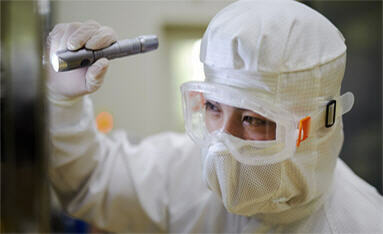 Shire, a wholly-owned subsidiary of Takeda, is an Equal Opportunity Employer committed to a diverse workforce. Shire, a wholly-owned subsidiary of Takeda, will not discriminate against any worker or job applicant on the basis of race, color, religion, gender, national origin, ancestry, age, sexual orientation, marital or civil partnership status, pregnancy, gender reassignment, non-job related mental or physical disability, genetic information, veteran status, military service, application for military service, or membership in any other category protected under law. Shire, a wholly-owned subsidiary of Takeda, is committed to working with and providing reasonable accommodation to individuals with disabilities. If, because of a medical condition or disability, you need a reasonable accommodation for any part of the application process, or in order to perform the essential functions of a position, please call 484-595-8400 and let us know the nature of your request and your contact information.